Looking for a great website for a client working in the industry niche? 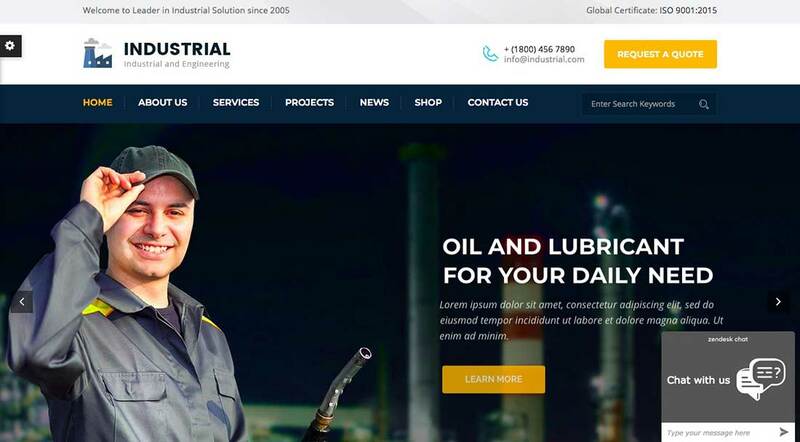 Check out these 20 best industrial WordPress themes that were specially created for businesses in the engineering industry, factory, manufacturing, oil & gas, petrol niches and more. 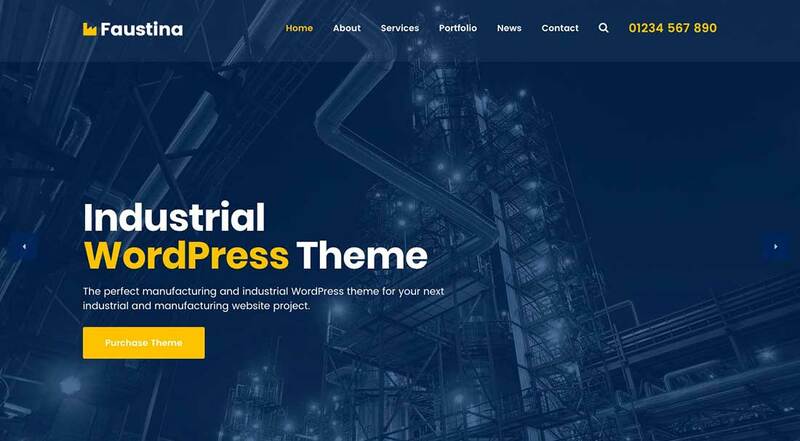 These industrial WordPress themes can be easily customized with no coding knowledge, as they come integrated with powerful and user-friendly page builders, such as WPBakery, formerly known as Visual Composer. You get unlimited colors to choose from, unlimited fonts, and pre-built pages to simply add in your own company details, photos, and launch your industrial website in a matter of hours. 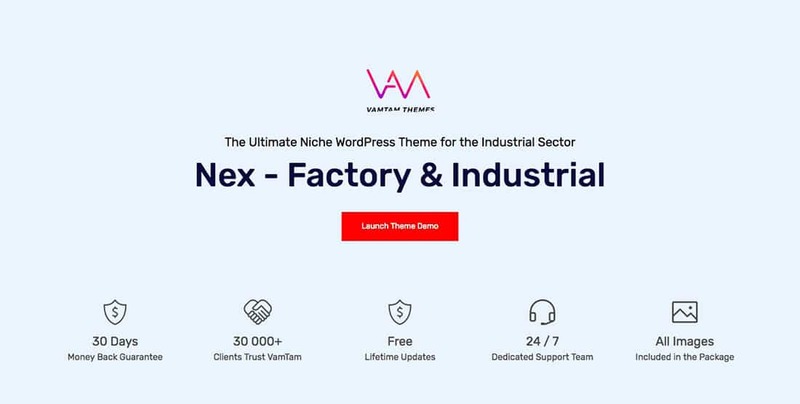 These are premium industrial WordPress themes that also come with 24/7 support, so if you need any help with the installation process, the support theme will help you. Moreover, they already have all the features you need to power up your industrial website design, but if you need even more new features, you can simply install a WordPress plugin and you’re ready to go! This is a great industry and engineering WordPress theme with a 100% responsive design that was tested on all the major handheld devices. It has all the required features for an industry business website and can be easily customized to fit your brand. 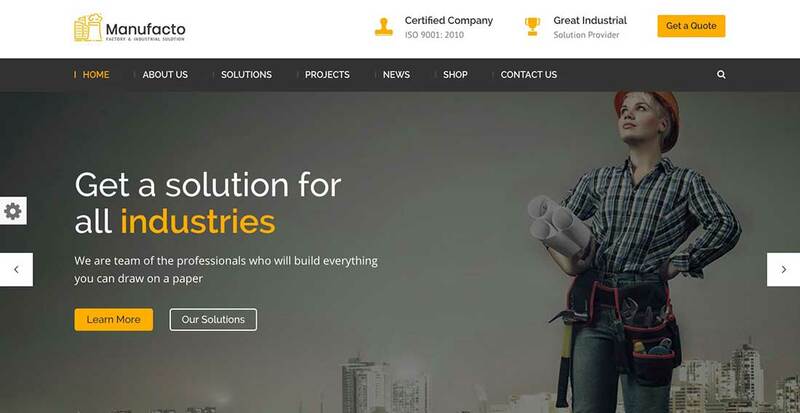 Innox is a perfect theme for an industrial company. It has a modern and professional design that will surely make it stand out from the rest. You will also get pre-built pages for: About Us, Team pages, Team Member, Services, FAQ, Contacts, Projects and News pages. 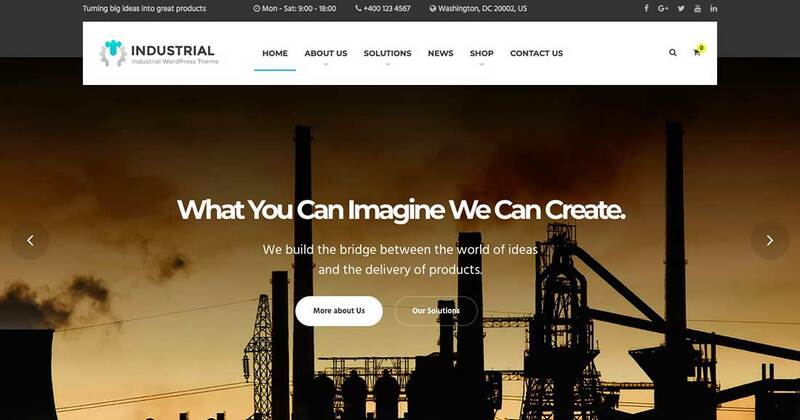 Industrial is a WordPress theme build for businesses working in the industry field. it has a responsive and retina ready design and comes with shortcodes for showcasing the businesses work portfolio. This is another great industry theme with a drag and drop page builder and a powerful framework. 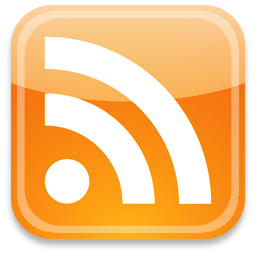 It has different popular plugins already integrated, such as the Revolution slider. It is SEO-friendly and comes with 6 awesome Home-Pages and 6 unique header styles with a clean design. This factory / industrial WordPress theme is suitable for any business operating in the industry niche. It has an industry-focused design with all the features needed by a business working in this field. No coding knowledge is required to customize this theme. 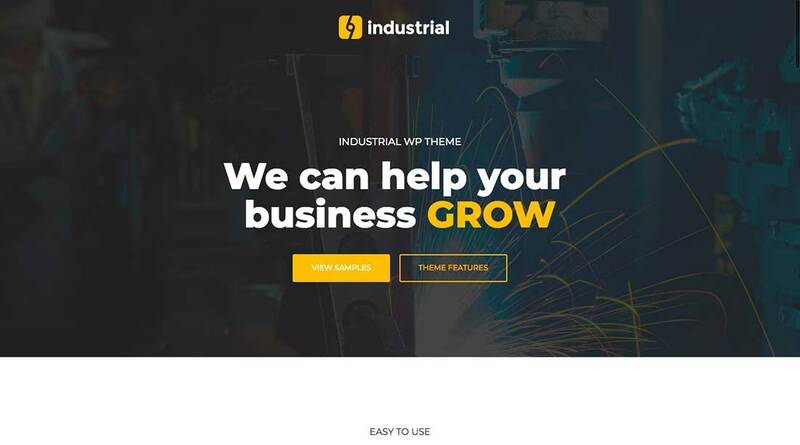 Industrial is a WordPress industrial business theme focused on building websites in the industrial, manufacturing, factory niches. It comes with the popular WPBakery Page Builder (formerly Visual Composer), Revolution slider and has WooCommerce support. Customize this theme with unlimited colors and create unlimited layouts. Multicon is a construction WordPress theme for any kind of business in the construction industry. It is packed with 8 fully built demos with all the pages your presentation site will need. It also has some cool integrated plugins for adding some extra features. Industry is a premium industrial business WordPress theme built with Visual Composer 5. Easily create any page layout you want by using the drag and drop interface VC has. This site is also optimized and it loads really fast! 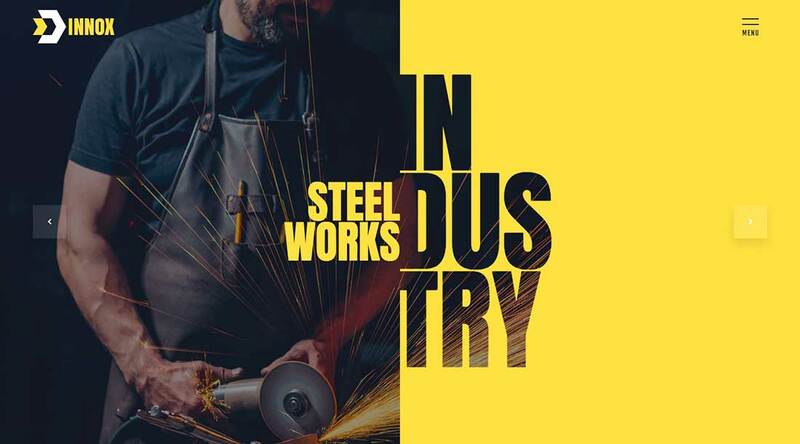 WP Industry is a premium industrial business theme with an elegant yet modern design. It has an easy-to-use interface with flexible, modular elements for constructing an entirely responsive layout. It includes a Drag & Drop page builder, unlimited color schemes, Google web fonts, custom widgets and more. Manufacto is a WordPress theme specially designed for manufacturing businesses, factories and power plants. Manufacto theme has a great design with cool layouts and tons of features (testimonials, blog, team pages, etc.) to step up your online web presence. It has 100% responsive design too! Industrial WP offers a modern website design for any type of industrial business. You can easily create new pages by using the page layout with drag & drop page builder. This is another industrial theme for your industrial company. It’s an ideal fit for business in the manufacturing, developing, engineering, or construction niches. 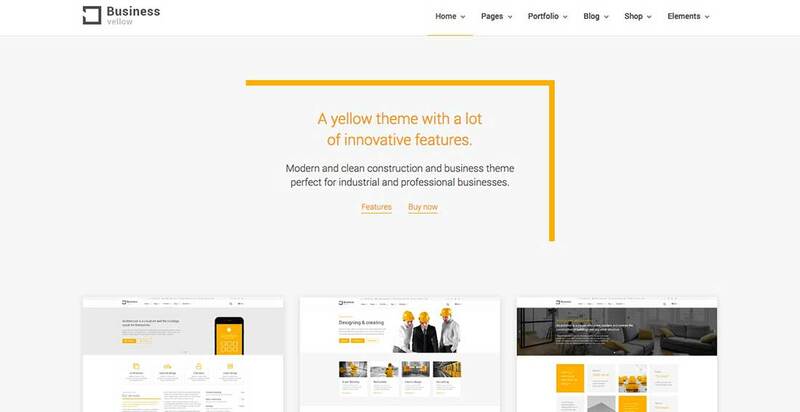 This theme is WordPress 4.8+ ready and has a perfect design for any industrial business. It is fully responsive, offering an impeccable smartphone and tablet experience and comes with unlimited color and typography options. 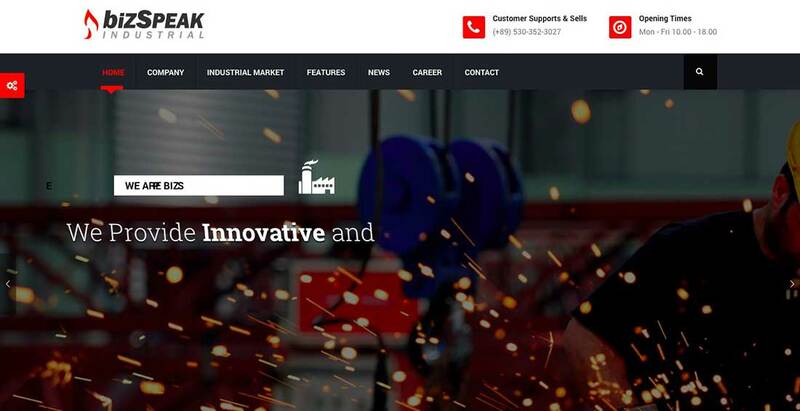 BizSpeak is a clean, functional and professional WordPress theme for industrial business websites. It has all the features you need to launch your industrial presentation website in a matter of hours. Petro is an Industrial WordPress theme for oil and gas companies. It has a great design with lots of features and it’s 100% responsive and tested on all major handheld devices. This is a highly customizable WordPress theme with an extensive admin interface and a simple One-Click import of demo content. You don’t need any coding knowledge to customize this theme. It comes with a large custom shortcode collection and it is entirely responsive & retina ready. 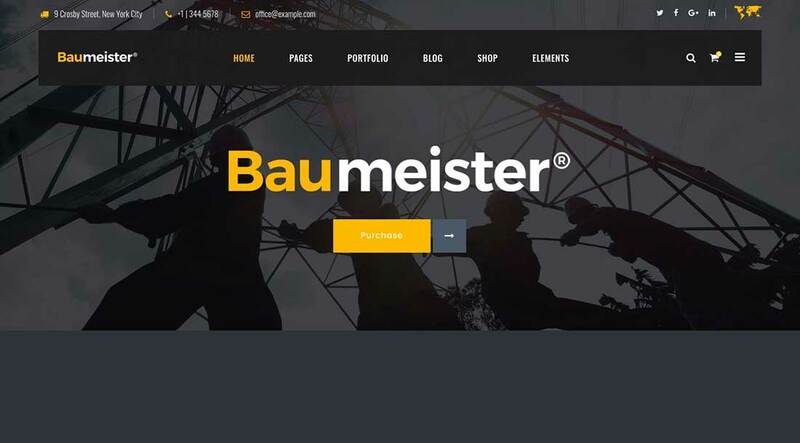 Take a look at this user-friendly construction WordPress theme that may be a good fit for your business! It is a powerful and easy to customize theme with tons of modern components. Use it for construction, industry or transport businesses. 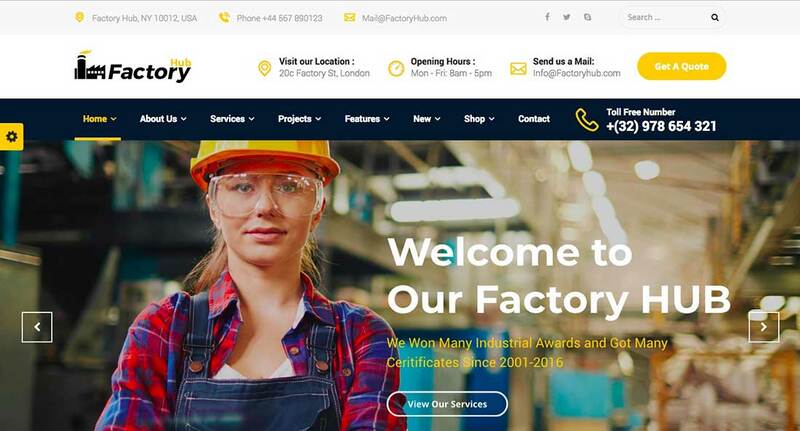 Factory HUB is another WordPress theme specifically designed for niches such as industry, factory, construction, engineering, oil & gas, and more. It’s great for startups as well! Bolt is a minimalist and clean theme that can be used for different types of websites and industries. It’s flexible, easy to use and highly customizable. 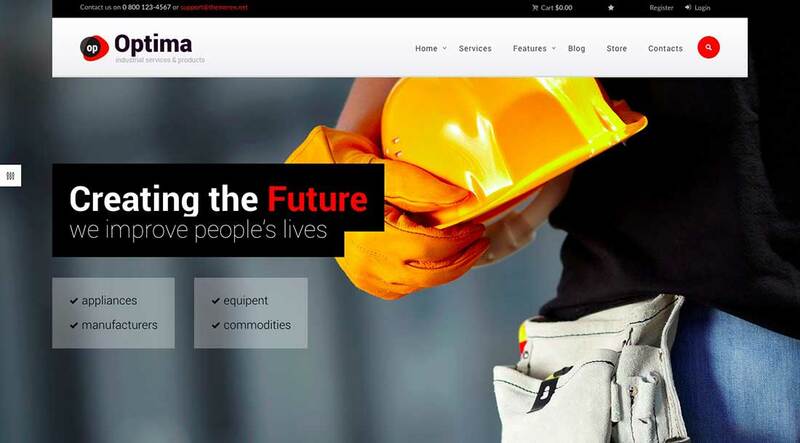 Faustina is an industrial WordPress theme for manufacturing companies who need a great online presentation website with a modern and professional design. It comes with the SiteOrigin Page Builder and the WordPress Customizer.